Alexa, Please Stop Laughing: Amazon Says It's Fixing Device's Unprompted Cackles : The Two-Way After social media lit up with tales of creepy laughter, we now know why: The Echo's virtual assistant has been spontaneously laughing at its users. Now, the company says it is working on the issue. At least, that's what Amazon Echo owners say they've been hearing lately. In recent weeks, many of them have hit social media saying their smart speakers have been laughing spontaneously, unprompted by commands. The random cackling, as you can imagine, has been described variously as "really creepy," a good reason why it's "time to move" and "the scariest s*** I've ever heard." "I was trying to turn off some lights and they kept turning back on," one Reddit user observed. "After the third request, Alexa stopped responding and instead did an evil laugh." 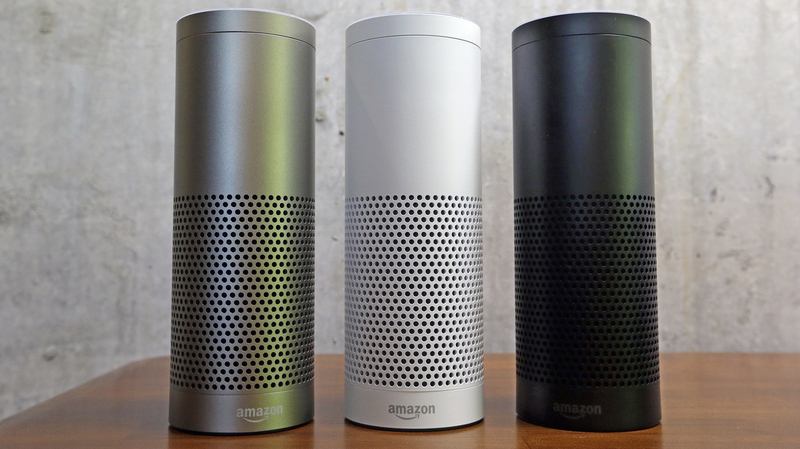 As it turns out, these Echo owners are not hearing voices. Well, they are — but these voices are, in fact, real: Amazon has confirmed that the device's virtual assistant known as Alexa has been laughing without users' intentional commands, and the company says it is working on a fix. "In rare circumstances, Alexa can mistakenly hear the phrase 'Alexa, laugh.' We are changing that phrase to be 'Alexa, can you laugh?' which is less likely to have false positives, and we are disabling the short utterance 'Alexa, laugh,' " a spokesperson said in a statement. "We are also changing Alexa's response from simply laughter to 'Sure, I can laugh,' followed by laughter." Now, if you do not happen to own an Amazon Echo and you are still hearing laughter from empty rooms inside your house ... well, it really may be time to move.